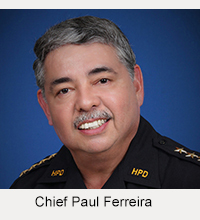 Chief Harry Kubojiri wishes to thank the 608 members of the public who participated in the Hawai’i Police Department’s Community Satisfaction Survey and the news media for helping to attract this record number of participants during the month-long survey in May. The chief and his staff are in the process of analyzing all the individual comments collected so the Police Department can identify common concerns. The chief will then respond to the most common concerns expressed by the community members and visitors who participated in the survey. The responses to those comments and questions will be posted (along with the questions) on the Police Department’s website. In addition to processing comments from the survey, the Police Department will continue to hold monthly public meetings around the island to respond to concerns from the public. 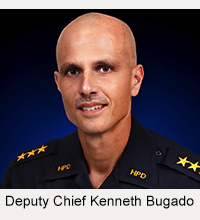 Chief Kubojiri encourages community members to attend these public meetings or communicate their concerns or comments using the “Feedback” link on the Police Department’s website.